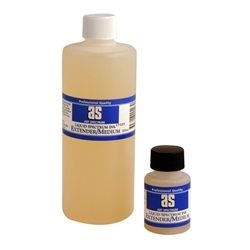 Restores adhesion and water resistance in heavily diluted washes. Experiment by adding at least 10% medium to the wash of ink. May also be added to gouache or watercolour washes to provide a level of water resistance.